This award winning art piece speaks for itself. The black field makes the high relief, 18K gold dragon fly pop out at you with startling reality. 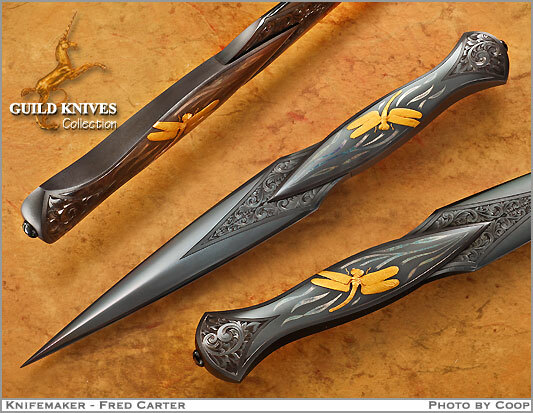 Fred has made only a few of these integral daggers, and seldom do they appear on the market as they are in private collections. This is an exquisite artifact. Engraved with silver inlays.